Why do people profess to have such a poor memory? Is a good memory something that is genetic or something that you can develop over time, even if you can’t usually remember what you ate for dinner yesterday? There are some tried and trusted study techniques which will help you when studying for your learner licence. The road code has quite a lot of information in, but follow these tips and you’ll lock the theory into your brain much more easily. Getting your muscles moving also gets your heart pumping faster and that increases the flow of oxygen to your brain. Assuming you’re eating a good diet, beneficial nutrients are delivered faster to your brain where they can be used to nourish it. If you’re exercising regularly you’ll naturally increase the number and quality of capillaries and blood vessels that transport that oxygen-rich blood straight to your grey matter. Exercise increases the size of your hippocampus. 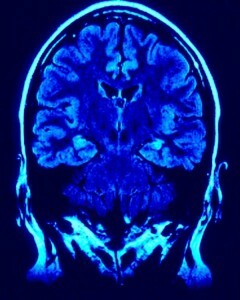 This is the part of your brain that retrieves information, so improving it improves your chances of recalling facts. There’s also the benefit of stress reduction. It is more difficult to learn when we are stressed because your endocrine system is flooded with cortisol and that inhibits the growth of new brain cells. Studies have shown that people who are stressed have worse memories. You don’t need to be running marathons. As they used say on the TV, 20 minutes a day push play. The ‘spacing effect’ is a phenomenon whereby we more easily remember or learn facts when the study periods are spaced out over a longer time span. This is called spaced presentation. What this means is that if you cram, or do repeated study in a short period of time, you are not using your brain efficiently. This isn’t to say that you shouldn’t do last minute study, though, because the spacing effect is about getting your long-term memory activated so that you have lasting knowledge. If you’ve been learning for a while most of the knowledge will have sunk into your long-term memory and will be readily available. However, it’s always good to have a quick cram just before you go into your test. For example, you can use the tests on this website on your smartphone right before you go into the exam and you’ll have knowledge sitting in your short-term memory, too. It’s not until you have to teach others that you know whether you really have a deeper understanding of what you are learning. If you can explain things in your own words and have someone else understand it, you will learn it very effectively. Your brain will be much more willing to recall information in the test if you studied under a similar situation. This phenomenon is seen most frequently in aircraft simulators. Pilots could learn from books (and they do), but they also sit in a simulator so they instantly know the location of buttons and switches. As the test will be conducted online, practice the theory test here online by choosing any of the tests above. Back in 2002 New Scientist published this article about the effects chewing gum has on your memory. This article from Wired in 2011 adds extra information. The effects are fairly short-lived, and artificial sweeteners are not good for you, so take it easy. Create flash cards yourself with a question on one side and the answer on another. The act of writing will start organising the information in your brain, then running through the flashcards periodically will help cement it in your long-term memory. You can also write facts on Post-it Notes, or other pieces of paper and stick them to your wall, the bathroom mirror, or anywhere else you’ll see them frequently. This works well for facts you are having trouble memorising. Make up your own associations, rhymes, and other tricks to help you learn. For example, “Only a fool breaks the 2-second rule” is a little mnemonic that is easy to learn. Can you make any others up that help you learn tricky facts? If you really want to get into memory Olympics then you can look at advanced techniques such as the Method of Loci or Haraguchi’s mnemonic system.